Scott Frankland and Wavestream Kinetics have quietly made high-end tube components for over 20 years. Wes Bender was blown away by the sound of Wavestream amps powering Hansen speakers. 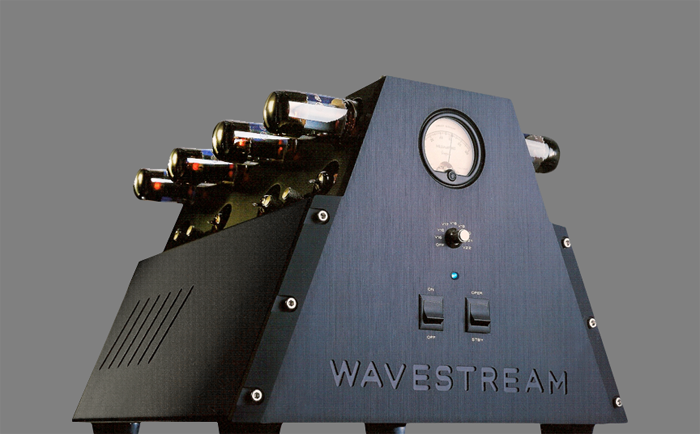 Wes Bender Studio NYC is proud to have the entire line of Wavestream Kinetics products available for demonstration and sale. V8 Mono Amplifier. Powerful & musical. Able to drive virtually any load. Up to 400 watt output.